The originary Pathe Baby was born with a hand crank: two turns of the cranck captured 16 frames of film producing one second of running time). So it was suitable for use with a tripod. The manual Pathè Baby was produced in 1923, and was equipped with a lens Roussel Kinor 1:3,5 20mm. It weights 0,650 kg. and its measures are the following: 42x105x100. The originary Pathe Baby was difficult to use, because it was manual. There the Pathè Baby Clockwork was born. This machine is composed of two parts: one is the movie camera, and the other is the clockwork. The two parts are joined by three screws, two on the top, and one big at the bottom. Nevertheless this ingenious way involved to make heavy machine. 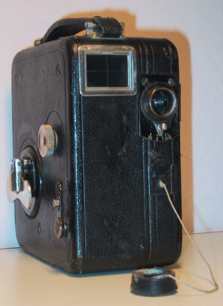 The Pathè Baby with clockwork was produced in 1926, it is equipped with a lens Roussel Kinor 1:3,5 - 20mm. It weighs 1,550 kg. and its measures are the following: 74x105x100. Produced in 1932, the Mondial B used a lens Pathé 12:3,5 20mm. The camera weights kg. 1,150 and its measure are the following: 50x115x110. 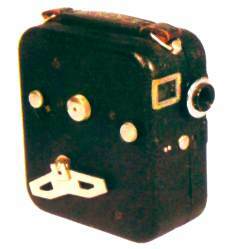 At the origin the movie camera costed 675 french francs. 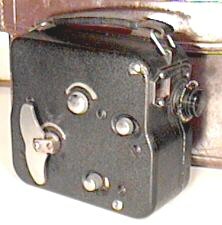 It is a movie camera, using a film 9,5mm. The camera was produced in 1948 until 1958. It was equipped with a lens Sam Berthiot 1:3,5 20mm. It weights 1.150 kg. and its measures are the following: 42x102x128. The camera has a brown metal housing. It is very compact and handly. From the Pathé National II, the Pathéscope produced a very similar machine, the model "H". 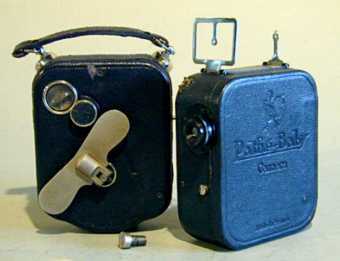 The model Pathé Motocamera was introduced in 1928. It is equipped with a lens H. Roussel Kinor 1:3,5/20mm. The machine weigths kg. 1,450, and its measures are the following:. 61x120x120 mm. The housing is metal and is covered by black leather. The "Pathexgraph" is a titling device, that could be connected to the camera via an accessory. My camera works perfectly. This model was produced between 1946 and 1960. It was equipped with a turret with three lenses; my camera is equipped with the following lens: a Berthiot Cinor 1:1.9 f=25 and a Meopta Openar 1,8/40. The film could be exposed between 10 and 80 frames per second. This movie camera is rather heavy (kg. 2,700), and bulky (88x170x310 mm). 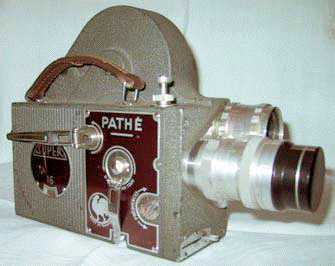 The Pathé Webo model A introduced in 1946 and produced until 1960. It was equipped with a lens Som Berthiot Cinor B 1:1.9 20mm. 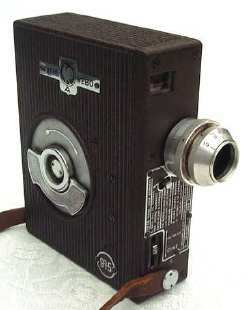 As many Pathé cameras, the Webo A used cartridges with a 9,5mm film, that would run 15 meters. This machine isn't heavy, it weights kg. 0,850, and is very handy, its measures are the following: 37x137x135 mm. The body is in metal, brown color. 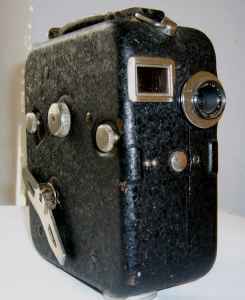 Pathéscope Ltd. of Londra produced five models, with 9,5mm film. 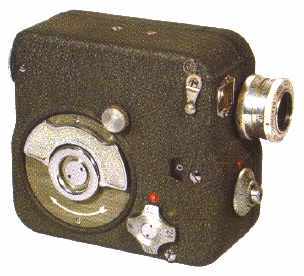 The model Pathéscope "H" is produced in 1948, and is like the Pathé National II, produced by Pathé in France. It is equipped with a lens Pathéscope 1:2,5 da 20mm. The camera is little (20x101x125mm) but heavy (1,250 kg). 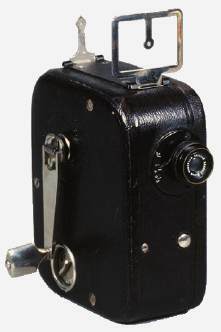 Pathescope produced, in 1936, a camera absolutely identical to the Path� Mondial B, but my camera was produced in France. Is was equipped with a lens Path� 12:3,5 20mm. The camera weights kg. 1,150 and its measure are the following: 50x115x110.